The Southern Delaware native’s talent for songwriting is undeniable, having written a song that was featured in a Super Bowl commercial and appearing in a Diet Coke ad with megastar Taylor Swift. 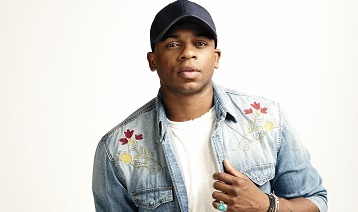 “Blue Jean Baby,” off his debut self-titled EP, immediately caught the attention of country music fans and critics alike with its soulful groove— rocketing it to the top of digital playlists, across all genres. After introducing his music at festivals across the country, Allen hit the road to share the stage with Kane Brown and Scotty McCreery. The hot newcomer was heralded as one of the top “artists to watch in 2018” by Rolling Stone, Billboard, Pandora, Sounds Like Nashville, NY Country Swag, Country Music Rocks and New England Country Music, and has earned spots in CMT’s “18 for 2018” Listen Up program and Bobby Bones’ Class of 2018. Allen’s debut single “Best Shot” is a certified hit, claiming the spot as the No. 1 Most Shazamed song in the format for eight consecutive weeks, and claiming the No. 1 spot on Country radio for three weeks, marking the first time a black artist has launched a career with a No. 1 hit with their debut single on Country radio. In October of 2018, Allen released his hotly-anticipated debut album, Mercury Lane, named in tribute to the street he grew up on and the origin of his incredible journey. Featuring a cutting-edge mix of country, rock, R&B and pop, Mercury Lane draws upon the influence of his family and small-town upbringing of the critically-acclaimed rising star.